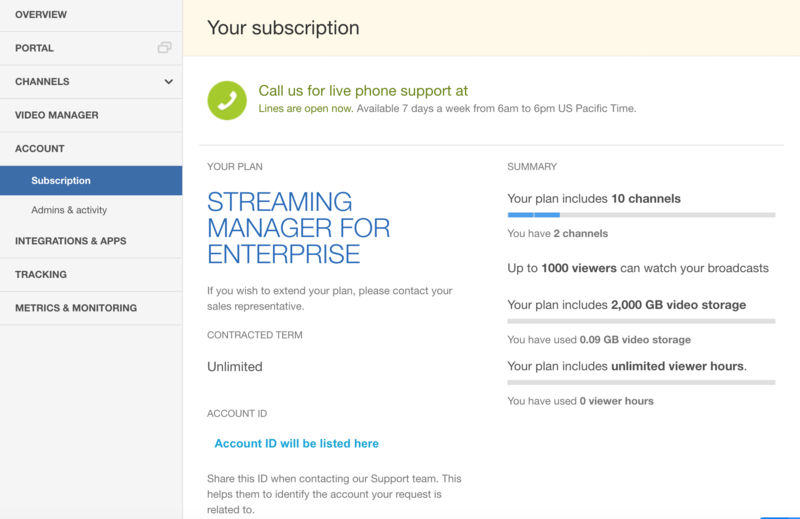 In the Account Settings tab, you can see and change the general information regarding your Enterprise Video Streaming account. Account ID: Please share this when contacting our Support team as this helps them to identify the account your request is related to. The Admins & Activity page allows you to assign other IBM Watson Media account holders to have control over a particular channel on your account. This can be useful when you want a person to be able to publish and unpublish videos, or start a live broadcast, without having full access to the settings of your entire account. More information on setting account admins can be found here.